A holy Lake Damodar Kunda is in Upper Mustang area of Nepal. 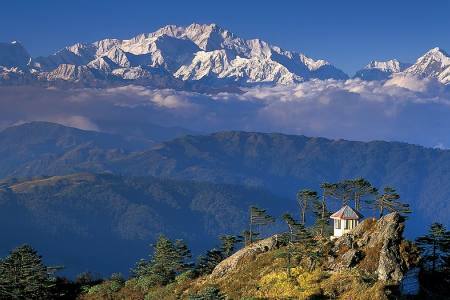 It is Northern Himalayan range of Annapurna. 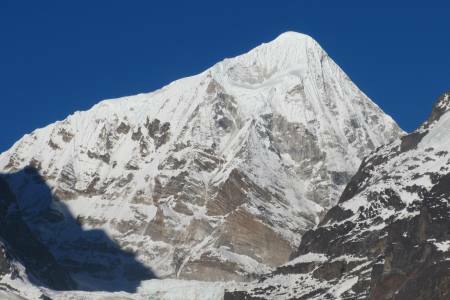 Damodar Kunda lies in an altitude of 4890 meters. Lake is a famous holy place for Hindu people. 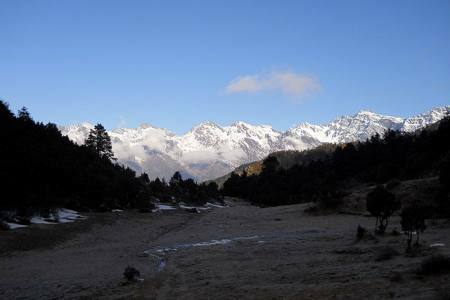 It is area of Tibetan plateau landscape to the remote area of Nepal near from Tibet. 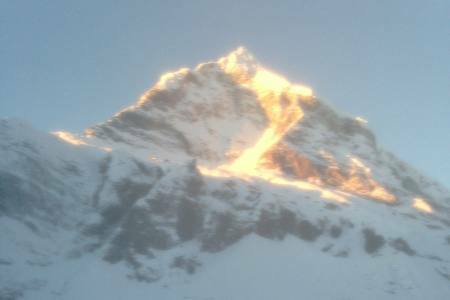 Damodar Kunda trekking offers superb panoramic views whole Annapurna range, lush valleys, beautiful landscape, Tibetan monasteries. The views are great from some viewpoints a bit higher than the lakes, just a short climb up some of the hills. 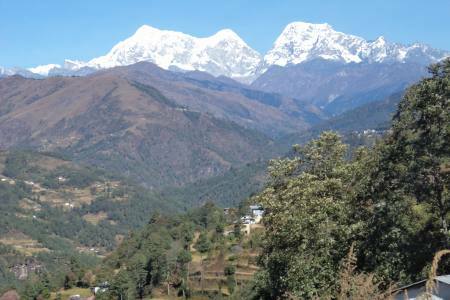 The Tibetan plateau and Damodar Himal (6,706m) with 65 peaks in this Himalayan range to the north and the Annapurna Himalayan massive to the south. From Damodar Kunda, the views are great from viewpoints a bit higher than the lakes, just after a short climb up some of the hills. 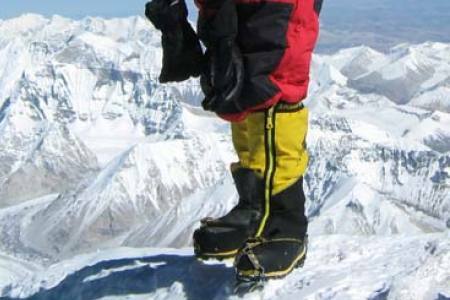 The Tibetan plateau and Damodar Himal are situated to the north and the Annapurna Himalayan massive to the south. 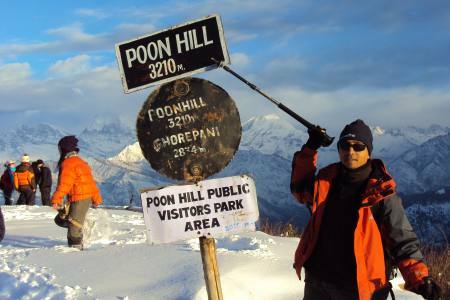 Day 02: Kathmandu (1300m) to Pokhara (900m) by bus, 6 hrs or by fly, 30 min. 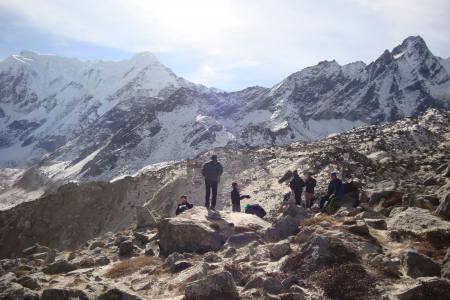 Day 03: Fly from Pokhara to Jomsom (2720m), then trek to Kagbeni (2800m), 3-4 hrs. Day 04: Trek from Kagbeni to Chele (3100m) 6-7 hrs. 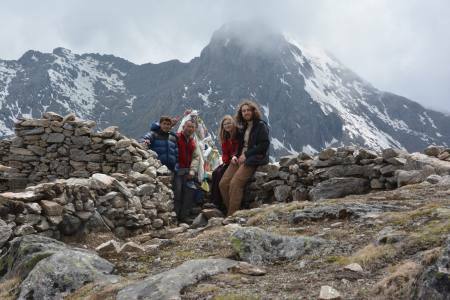 Day 05: Trek from Chele to Gheling (3570m), 7-8 hrs. 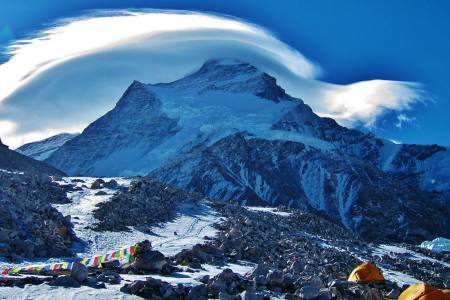 Day 06: Trek from Geling to Tsarang (3560m ), 6-7 hrs. 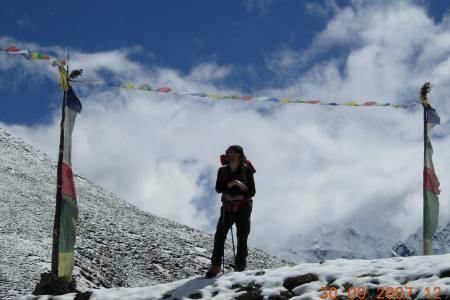 Day 07: Trek from Tsarang to Lo Manthang (3840m ), 5-6 hrs. Day 09: Lo- Manthang trek to Yara (3650m) 5-6 hrs. 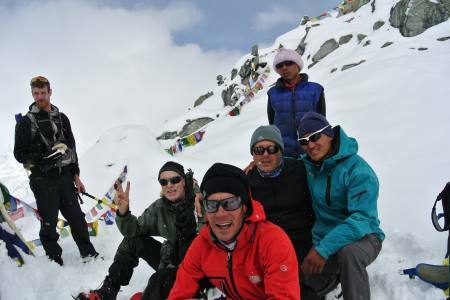 Day 10: Trek Yara to Ghuma Thanti (4800m) 6-7 hrs. 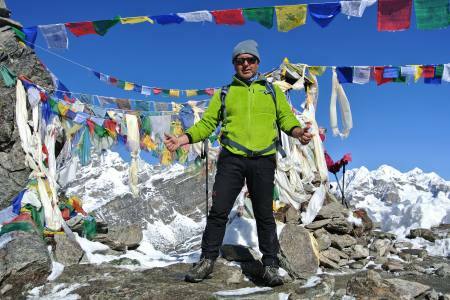 Day 11: Trek Ghuma Thanti to Damodar Kunda (4890m) 8-9 hrs. 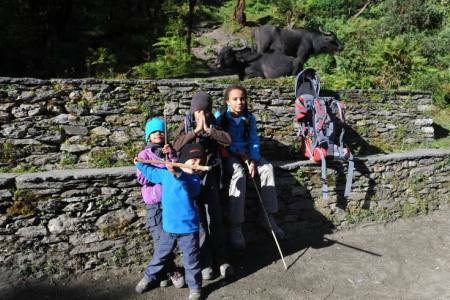 Day 13: Trek from Damodar Kunda to Ghuma Thanti (4800m) 7-8 hrs. 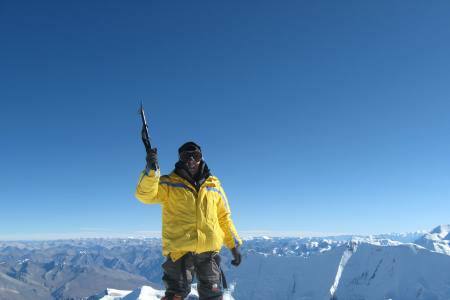 Day 14: Trek from Ghuma Thanti to Yara (3900m) 6-7 hrs. Day 15: Trek from Yara to Tangye (3240m) 7-8 hrs. Day 16: Trek from Tangya to Tetang (3040m) 8-9 hrs. Day 17: Trek Tetang to Muktinath (3700m) 5-6 hrs. 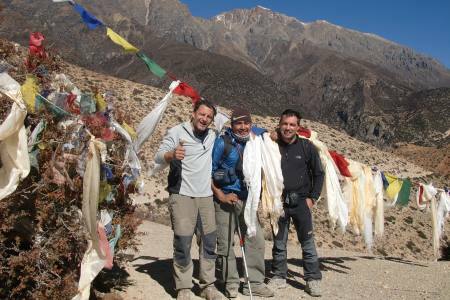 Day 18: Trek Muktinath to Jomsom (2720m) 5-6 hrs. 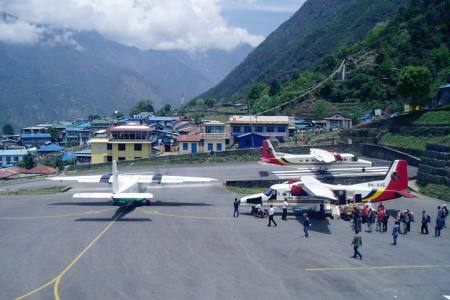 Day 19: Fly Jomsom to Pokhara (960m), 20 min. 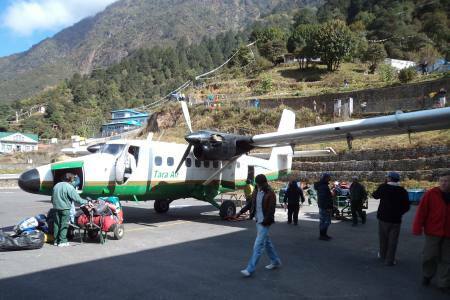 Day 20: Pokhara to Kathmandu fly 25 min. /drive 6-7 hrs. Camping equipments like: tents (dinning tent, sleeping tent, kitchen tent), mattress, kitchen items etc. Day 02Kathmandu (1300m) to Pokhara (900m) by bus, 6 hrs or by fly, 30 min.Early in the morning we set off for Pokhara. On the way we enjoy countryside views of green hills, river, farms etc. After a 200 km and around 6 hours drive we reach Pokhara (a city of Lake, literally). 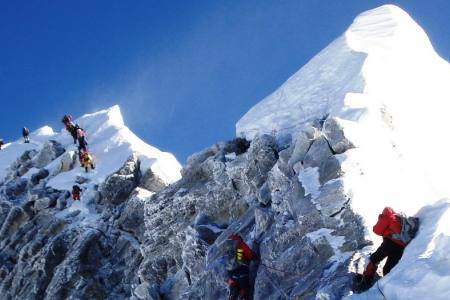 Pokhara city offers us the magnificent view of various mountains namely Dhaulagiri, Manaslu, Machhapuchre and other mountain of Annapurna range. Day 16Trek from Tangya to Tetang (3040m) 8-9 hrs. Cross the suspension bridge and follow the short river route. After crossing the river, we steeply climb up to reach a small pass. Then the trail goes straight to Paha (shelter house) where we make our lunch. After lunch, we continue crossing many small passes until we reach the top of the hill, then the trail steeply descends and we encounter strong winds until we reach Tetang village. Overnight at tented camp. Day 17Trek Tetang to Muktinath (3700m) 5-6 hrs.We follow our trail through the village after passing the scenic Mani walls. Then, we climb up to the wide valley. 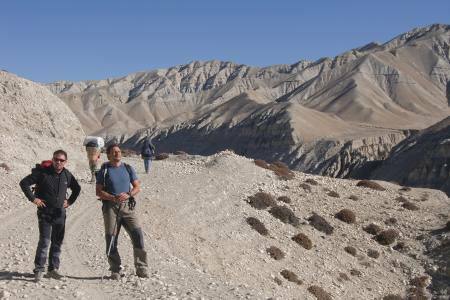 After walking to the plateau, we keep ascending until reaching small pass from where we can see the high mountains and picturesque view of Muktinath. Then, we drop down to the small stream and cross by a suspension bridge. 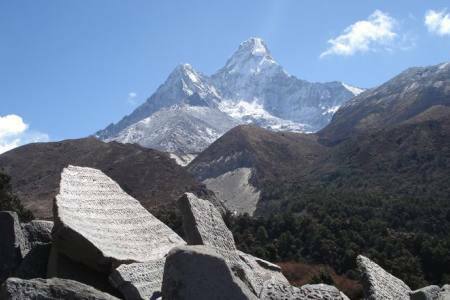 After that, we enter in the village of Chhyongar and follow the level trail until reaching Muktinath passing Kani/gate. Overnight at tented camp. Day 18Trek Muktinath to Jomsom (2720m) 5-6 hrs.After breakfast, we leave the village and trek to Jharkot village where we visit the ancient Sakyamuni Buddhist Monastery and Traditional Medical Center. Then, we follow the dusty road trail for a while and choose short trail until reaching Eklebatti. After lunch, we follow dusty and strong wind road level trail along the Kaligandaki River to reach Jomsom. Overnight at tented camp. 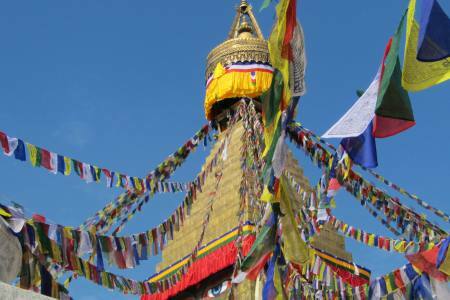 Day 20Pokhara to Kathmandu fly 25 min. /drive 6-7 hrs.In the morning we fly to Kathmandu, be sure to catch the left side of airplane for the best views of Himalayas. Farewell dinner at traditional Nepalese restaurant with cultural program included. Culture: Tibetan, Tamang, Gurung, Thakali, Nepali etc. 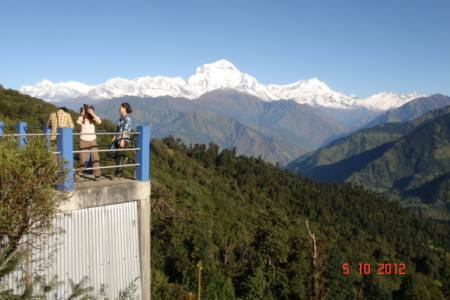 Major Attractions: Natural Environment, Wildlife, Mountains, Peaks, Hills, Flowers, Flora-Fauna etc.